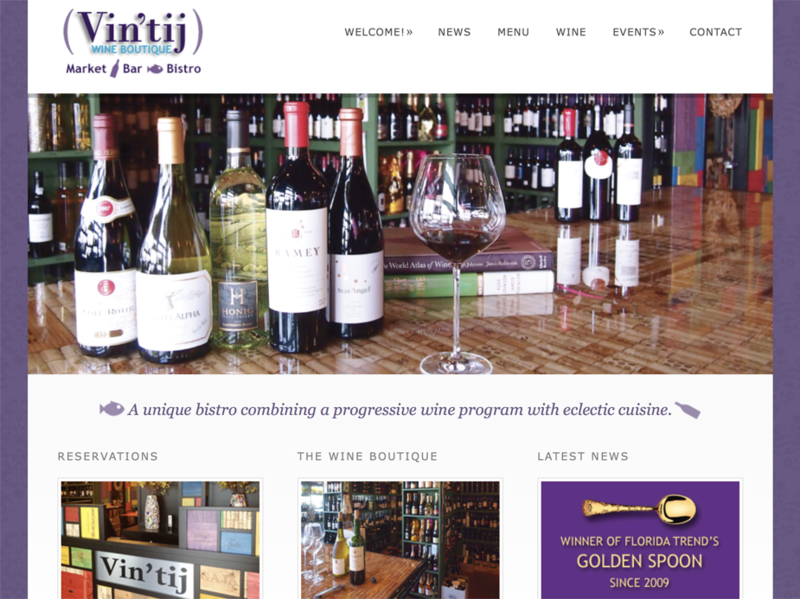 Branding Objective: Redesign established retail product, to showcase artisanal sophistication & increase sales. 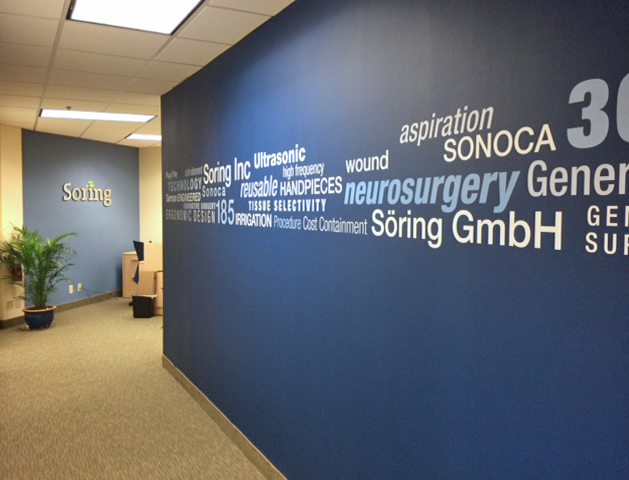 Working with Nell was an exceptional design experience! 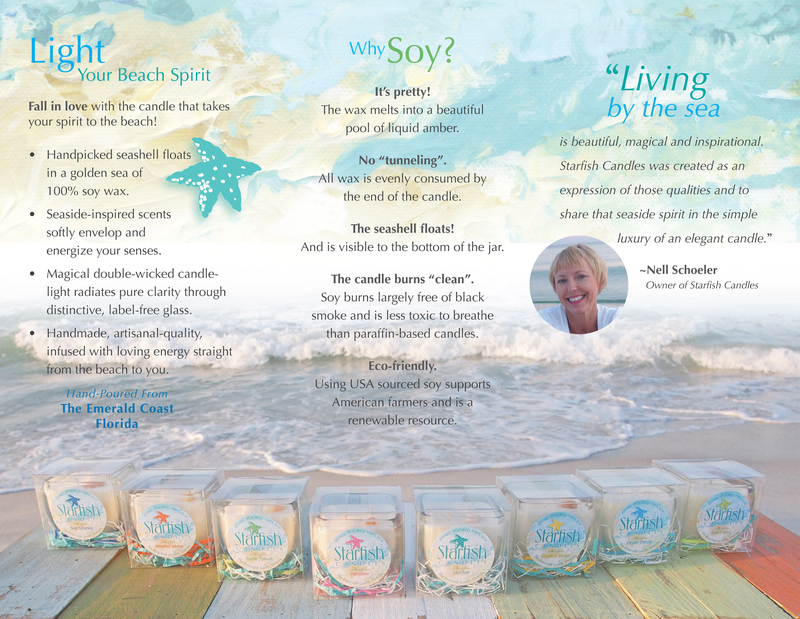 My challenge was to transition her established candle line and graphics, to a fresh, sophisticated new brand, announcing her independence from a past business partnership. 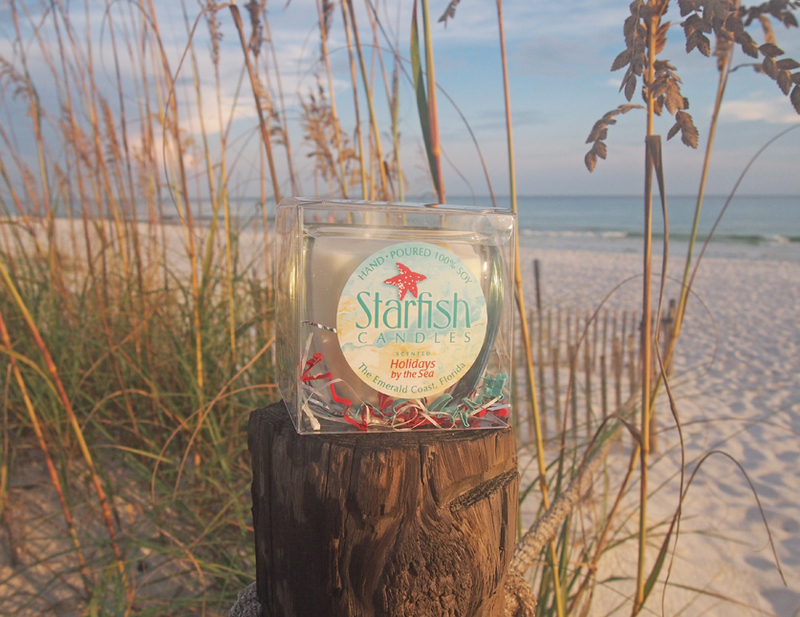 With Nell’s input, we needed to build on her success within many Santa Rosa Beach, Destin and 30A corridor retail venues, by creating excitement for new scents, packaging and branding refinement. 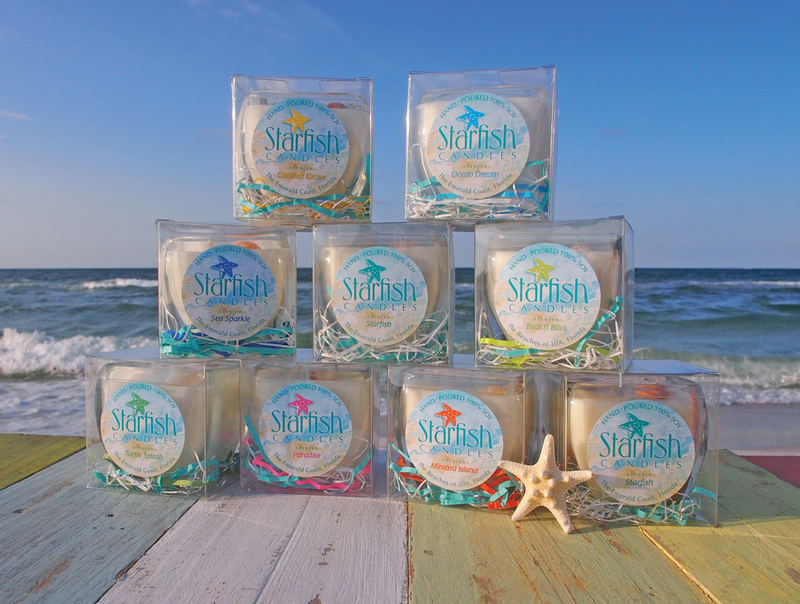 The new designs needed to capitalize on the established retailer knowledge of Nell’s high quality ingredients and beach theme, and to reinforce the ease of sales to retail buyers and retention of loyal customer sales. With Nell’s vision articulated, we were able to coalesce on a graphic interpretation using one of my beach paintings as a background. 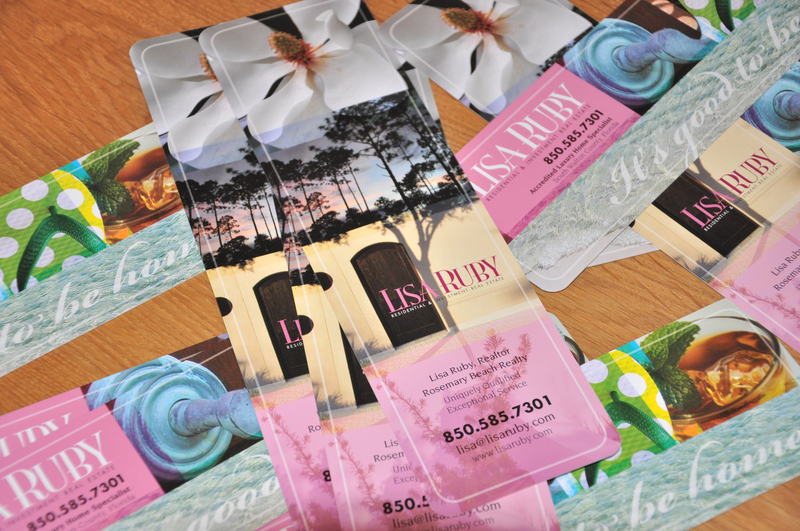 The logo and other elements, such as photography, postcards and a brochure came together quickly since our styles were very much aligned—a designer’s dream! 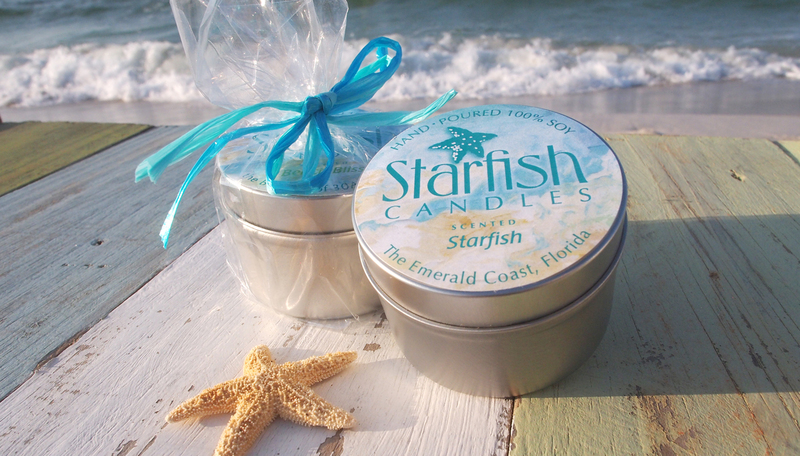 Starfish Candles sales increased, adding to the success and satisfaction of an enjoyable, fun project! A website was also created for online sales, which is currently suspended while Nell is on a hiatus. I’m hoping Nell’s entrepreneurial spirit is concocting an expanding line of new products!